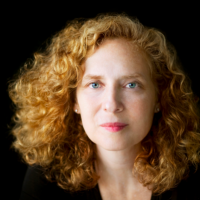 Tune in to Afternoon New Music from 3-6pm today, Monday, February 1st for an exclusive in-studio interview with Julia Wolfe, Co-Founder and composer for Bang On a Can. The interview will feature Wolfe on the current Bang On a Can All Stars, her Pulitzer Prize winning composition, and working with the late and beloved Ornette Coleman on a piece he wrote specifically for the collective, which will debut in their concert Saturday, February 6, 2016 at 7:30pm at the Merkin Concert Hall. The show will also feature selections from Bang On a Can's Field Recordings project, as well as Wolfe's composition, Anthracite Fields.